We all know the perilous fate of Humpty Dumpty. Ego pushed him up the towering wall to sit and preside over all that was beneath him. The length of his reign we do not know, only how it ended. The fierce breath of a winter’s wind threw off his balance and cast him to the ground. Lying shattered upon the dust, all the king’s horses and all the king’s men could not repair the damage done. Poor Humpty tells well in rhyme the fate of Babel. 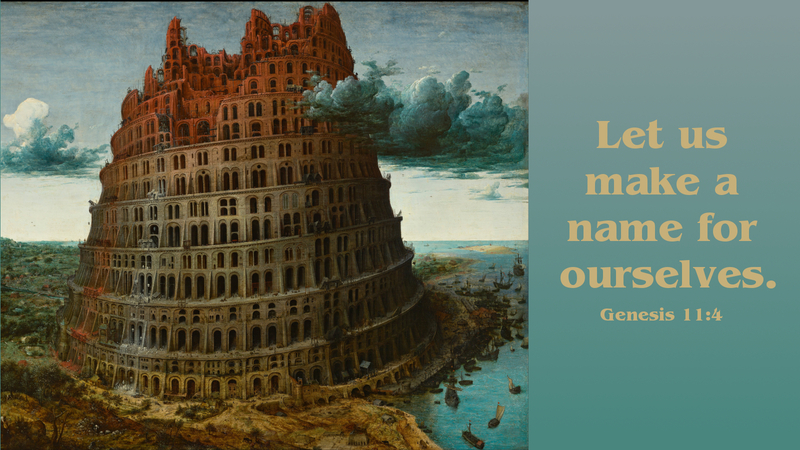 The ego of man (humanity) strove to build a name for ourselves. Arrogance set stone on top of stone to ascend the heavens. There to make a brick and mortar throne upon which we could rule. That was until the breeze came. The holy Breath of the Lord broke our pride and created a division which king’s horses and men could not rectify. But the King, himself, could. His breath would exhale once more and return men to man, united under one tongue. Nay, under a single word—a name—Jesus. There to build us into a people of his own name. For the great wind and holy fire of Pentecost is the redemption of Babel. Prayer: Holy Spirit, fire and breath of God, unite all the people of the world into the one Name above all names, Jesus Christ our Lord. Amen. Today’s devotion was written by Ian Wolfe, Chaplain of Bethany Lutheran Home, Council Bluffs, IA.